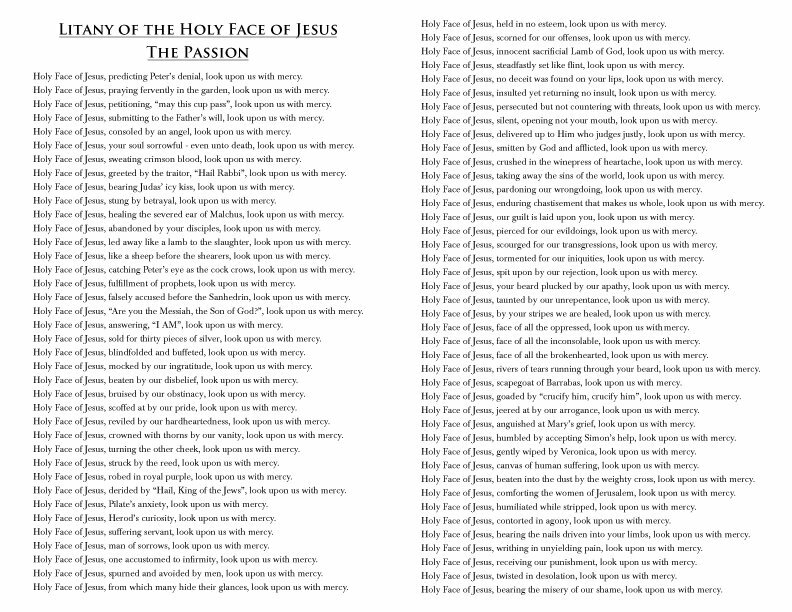 We hope you like this beautiful Litany of the Holy Face of Jesus. It is printed in English and measures 8.5x11 inches. We run these on a nice gloss brochure weight paper and fold them down to 8.5x5.5 inches. It is printed in full color with stunning artwork and rich inspirational scriptural meditations sure to help bring you deeper into the mystery of the Lord's passion.